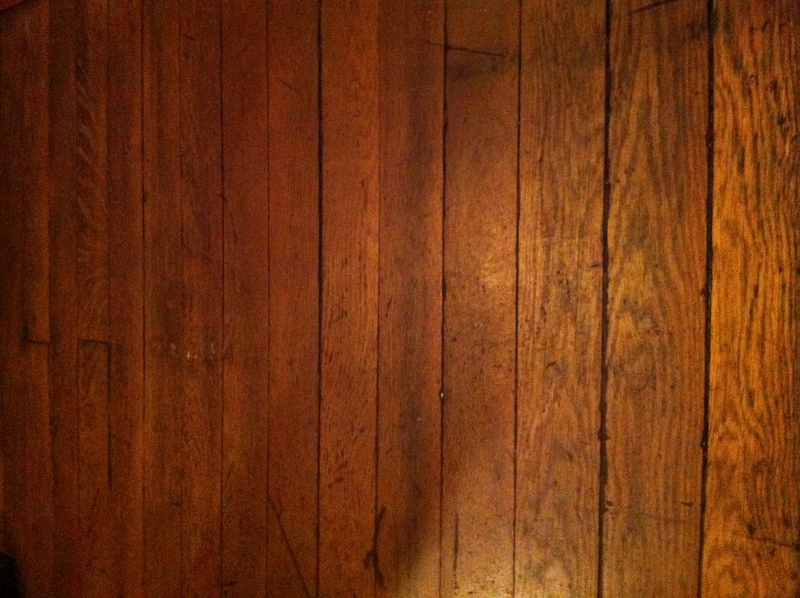 These 3 1/4″ white oak floors are 75 years old. I sometimes find it interesting how the wood flooring industry has moved towards hand-scraped products to simulate an aged look. Time-worn, hand-sculpted, hand-scraped, aged, hand-hewn and the list goes on and on. 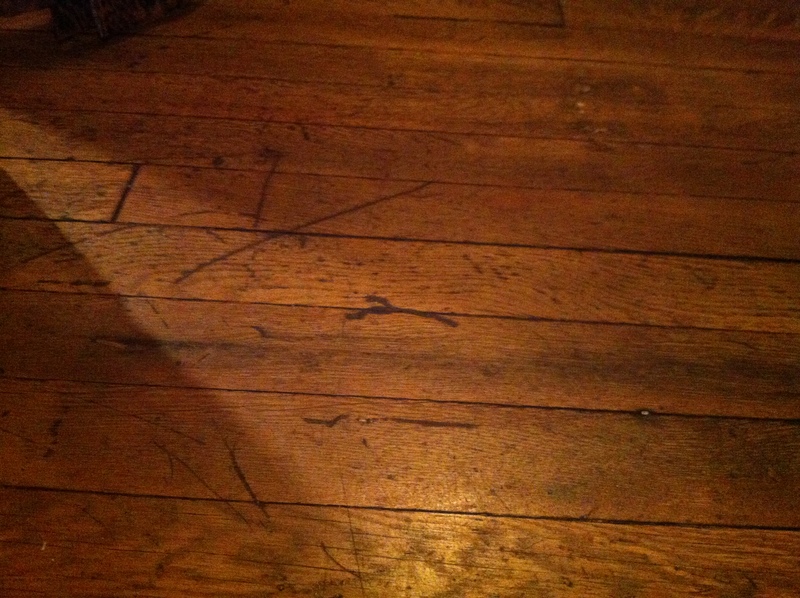 But lets be honest, the majority of the scraping we do to wood floors does not mimic what a truly old floor looks like. It’s does add a texture to the floor, but if we really wanted to make wood floors that look truly aged, they would look like this. 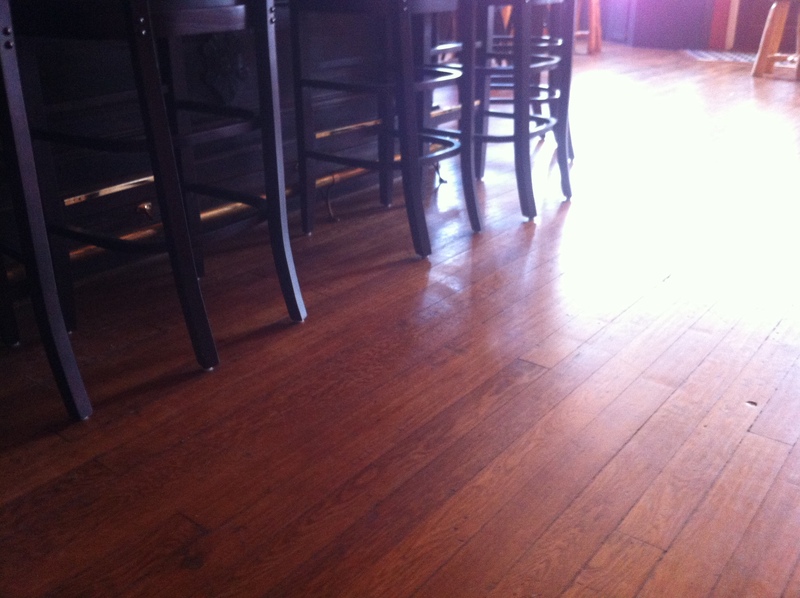 These floors grace the dining room at Cafe 37 in West Plains, MO. These floors have been around for a while and they are still looking good. Question I get often from homeowners: "will my floor scratch?" Answer: Yes, and that is when they really start looking great. 75 years of patina have left these floors looking great. Experience is not what happens to you, but what you do with what happens to you. I agree Sam. You can’t fake real patina be it on an old floor, antique furniture, or an old car. We’ll see how the prefinished, and predistressed floors and products of today patina. P.S. hand scraping was originally done as a way to make the boards level, or to get rid of the over wood so they wouldn’t trip! This was way before we had saws. Hand hewn was done to a beam as a way of removing the bark, once again way before we had saws. All by hand!